In this time and age, keeping up with the demands of everyday life is especially challenging. Every one of us has numerous roles to play at home and in our places of work to ensure we keep up with the demands of our dynamic health lives. But as you probably already know, balancing a top-notch performance in all the aspects of our life will demand a need for an energy boost. Aside from relying on caffeine or that energy drink, why not try natural supplements that would help prepare your body for combat? Read on to uncover some of these natural supplements. Commonly found in foods such as fish, almonds, whole grain, and green leafy vegetables, magnesium is an excellent energy source. Other than that, magnesium is also a key component in 300 body functions like bone formation, cellular health, muscle & nerve function, and glucose control. The supplement has also been proven to help achieve better sleep quality, thus giving you more energy in the morning. The benefits of magnesium are so pervasive that even little children should have everyday vitamins that boost a high content of it. 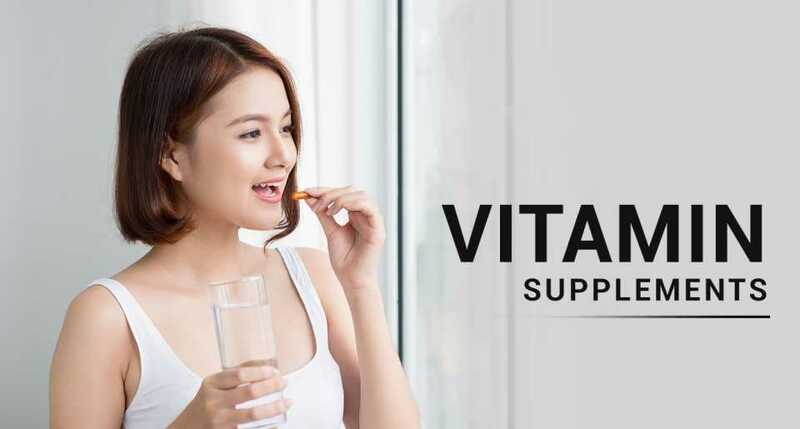 Found naturally in protein-rich food such as fish, meat, and dairy products, Vitamin B12 is essential in aiding the cells in our body turn the food that we consume into energy. It is also a vitamin that helps the body create more red blood cells, thereby preventing anemia, a process which is important in delivering oxygen throughout the body. This is vital as our cells need oxygen for energy production. Aside from aiding in serotonin production to get you out of that depressed mood, Vitamin B12 is also good for optimizing neurological functions in the brain. Also known as CoQ10, Coenzyme Q10 is found naturally in our bodies but are most abundant in our vital organs such as the kidney, heart, and liver. It is an antioxidant that is also found in organ meat, fish and peanuts. If you constantly feel fatigued, then chances are you could be suffering from CoQ10 deficiency. Cells in our body require adequate amounts of CoQ10 to remain healthy so that they can produce more energy that the body needs. CoQ10 can also help keep heart failure away while keeping skin healthy and reducing headaches. To increase our energy levels, we might also need supplements like adaptogens that can aid with fatigue and the need for rejuvenation. Found in high-altitude areas, like the northern regions of Asia and Europe, Rhodiola Rosea is a herb that can help ease the warning signs of chronic fatigue such as sore and headaches and muscle stiffness. Since it keeps the stress and head pains away, Rhodiola Rosa can also drastically improve your daily mood and enhance your brain activity. Described as an ancient way to relieve stress, Ashwagandha, like Rhodiola Rosea, can help your body to enhance its energy production by increasing its fighting power against physical and mental stress. Traditionally found in India, this herb has many medicinal benefits other than reducing cortisol, the hormone associated with stress. Ashwagandha can also support your body as a supplement when you exercise as it strengthens and enhances muscles. The pineal gland, found in the brain, secretes melatonin to help regulate our sleep patterns and thus prevents insomnia. Melatonin can also aid you in making you become more focused and reducing your stress levels. Other health benefits associated with this hormone include supporting the cells responses to diseases, repairing damaged tissues and increasing the body’s energy production. Iron helps in producing hemoglobin, a protein used by red blood cells to transport oxygen throughout your body. Like the Vitamin B12, this supplement can aid in preventing anemia, a condition caused by iron-deficiency in blood and weakens the body’s immunity leading you to constantly feel tired and weak. This explains why Iron forms a basic component in some of the best protein powders for kids. Other than people suffering from anemia, iron is also especially recommended for pregnant women where it supports the development of the fetus, as well as for fitness buffs who wish to prolong their exercise routines. Iron is also present in lentils, beans, meat, nuts, seafood, and spinach. Do not let chronic fatigue and stress overcome your daily life. Eat a healthy balance of food and try to include regular exercise into your routine to increase your energy threshold. In addition, through the help of any of the supplements above, you can arm yourself with more energy and stress adapters to enable yourself to live healthier and happier.